In a desperate attempt to silence Syrianews.cc in regards with the fascist dictator of Turkey, a Turkish lawyer sent us 5 emails on the same day 09 May 2018 asking us to remove contents from our website linking Erdogan with terror. 4 emails from a law firm account: Clean Sheet Hukuk Departmanı <[email protected]> and one from the lawyer’s email address: Ahmet Burak Uğurel <[email protected]> were sent to our website. It contains misleading information being published on page content. We ask you to remove your show necessary sensitivity to this subject and content of the publication. Thank you in advance for your understanding and we wish you good work. 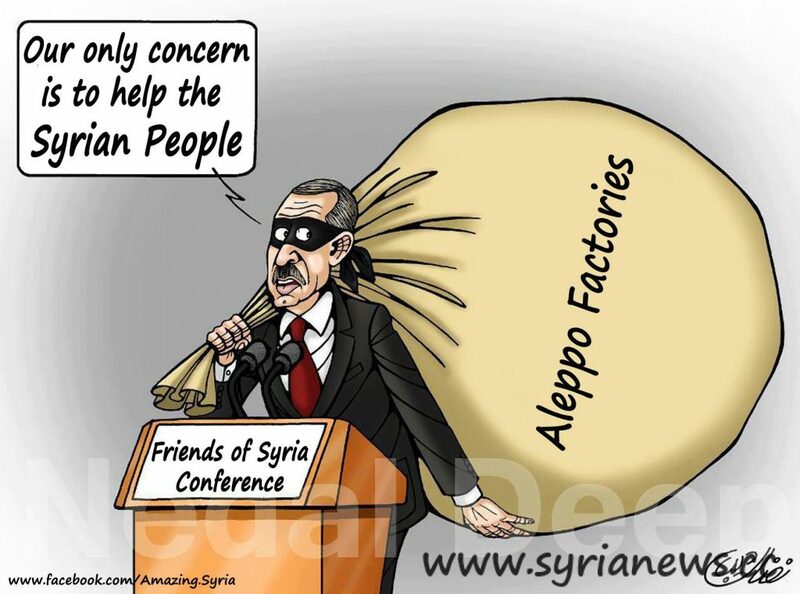 Erdogan: Syrian factories and economy thief. It’s interesting that these Turks did some research and found a few of our posts shared on our site and one more from one of my blogs, however, they found a third blog not related to us who might have shared not pleasant information about Erdogan from our site or from elsewhere. See below. The emails, written in very bad English, not that our English is perfect but still better than this, were initiated as it appears from Istanbul, Turkey where the presumed law firm is based. We have no clue whether Recep Tayyip Erdoğan hired this law firm to represent him and attempt to clean his name which is stained will all sorts of dirt from selling ISIS oil to harboring terrorists imported from all sides of the planet, to engaging in human trafficking and human organ trade, among many other crimes against humanity. The law firm did not attach a copy of any power of attorney from Erdogan, it could very well be done by an Erdogan fan wanting to impress his deity. By all means, if the Erdogan regime wants to come clean and show his regime supports free speech, Erdogan still has a chance to find out this firm and state publicly they have no affiliation with it, they can send us an email as well confirming the same. The Caliph wannabe anti-Islamic Muslim Brotherhood hypocrite Erdogan and his fans think they can span the arrests and silencing of journalists outside Erdoganstan (what Turkey is turning into gradually). They live in a box and want everybody to join them in it. Syrianews.cc was among the first websites to be blocked in Turkey in October 2013, when the head of the AKP Muslim Brotherhood party started consolidating powers in his hand: Erdogan Blocks Syrianews.cc in Turkey. The website was released a year later with the introduction of new internet service providers in Turkey. We will NOT be intimidated by such stunts by Erdogan himself nor by any of his fans or lawyers. At the height of the crisis in Syria, our website was among the very first to be banned in Turkey by the regime of Erdogan and we continued our message. See how desparate the terrorists like Edogan (and his western friends) are about people recognising the simple plain truth that they are ruled by blood-stained sociopaths. You are doing a great job in exposing them, hence they hate you. Just go on.